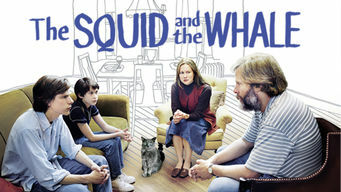 How to watch The Squid and the Whale (2005) on Netflix Argentina! Yes, The Squid and the Whale is now available on Argentine Netflix. It arrived for online streaming on October 7, 2017. We'll keep checking Netflix Argentina for The Squid and the Whale, and this page will be updated with any changes. This insightful drama looks at the crumbling marriage between a self-centered novelist -- whose career is waning -- and his up-and-coming writer wife.